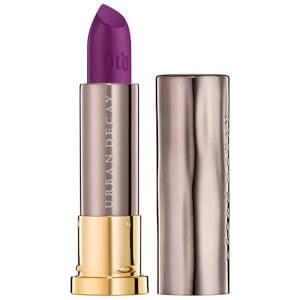 Urban Decay Vice Comfort Matte Lipstick is available in an extensive range of colours to help sculpt, shape and define your lips. From bold brights to subtle nudes, the matte shades all feel comfortable on lips and deliver highly pigmented colour with striking results. Imparting intense colour in a single swipe, the lipstick won't drag skin on application, and contains a host of nourishing ingredients to provide long-lasting moisture and comfort. Its butter blend ensures lips are conditioned, whilst antioxidant Vitamins and a cocktail of Aloe Vera, Jojoba, Avocado and Babassu Oils nurture and soften. 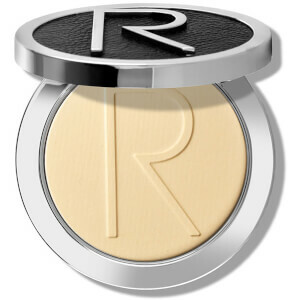 The lipstick also utilises a proprietary Pigment Infusion System™, which lends the formula its super-creamy texture, rich payoff and superior colour dispersion. Each custom-designed lipstick is embossed with signature “UD” lettering. Appliquer directement sur les lèvres ou utiliser un pinceau à lèvres pour une application précise. Commencer au centre des lèvres et estomper vers l'extérieur. Octyldodecanol, Isodecyl Neopentanoate, Kaolin, Cetyl Ricinoleate, Butyrospermum Parkii Oil / Shea Oil, Aluminum Starch Octenylsuccinate, Candelilla Cera / Candelilla Wax, Cetyl Lactate, Cera Alba / Beeswax, Cera Microcristallina / Microcrystalline Wax, Polyethylene, Dimethicone/Bis-Isobutyl PPG-20 Crosspolymer ,Aqua / Water, Octyldodecyl Neopentanoate, Caprylyl Glycol, Aluminum Hydroxide, Alumina, Calcium Sodium Borosilicate, Pentaerythrityl Tetra-di-t-butyl Hydroxyhydrocinnamate, Silica, Tocopherol, Tocopheryl Acetate, Glycine Soja Oil / Soybean Oil, Colophonium / Rosin, Squalane, Orbignya Oleifera Seed Oil, Simmondsia Chinensis Seed Oil / Jojoba Seed Oil, Ascorbyl Palmitate, Theobroma Cacao Seed Butter / Cocoa Seed Butter, Persea Gratissima Oil / Avocado Oil, Shorea Stenoptera Seed Butter, Butyrospermum Parkii Butter / Shea Butter, Tin Oxide, Aloe Barbadensis Extract / Aloe Barbadensis Leaf Extract, Synthetic Fluorphlogopite, Calcium Aluminum Borosilicate, Polyethylene Terephthalate, Citric Acid, Polymethyl Methacrylate.Polybutylene Terephthalate, Polylactic Acid. [+/- (May Contain): CI 77891 / Titanium Dioxide, CI 77491, CI 77492, CI 77499 / Iron Oxides, Mica, CI 15850 / Red 7 Lake, CI 77120 / Barium Sulfate, CI 45410 / Red 28 Lake, CI 15850 / Red 6, CI 19140 / Yellow 5 Lake, CI 15985 / Yellow 6 Lake, CI 42090 / Blue 1 Lake, CI 17200 / Red 33 Lake, CI 75470 / Carmine]. Très bon rouge à lèvre très pigmenté tien assez bien je recommande.